It seemed innocent enough, a snaking line wrapping down the block. We saw the line chain go down the block, around the building, and out of sight not 5 minutes after we entered the line, so standing this far “UP” in the line, well, it was easy to be fooled. Drake – a typical 8 year old boy – was foot shifting and found the 5 minutes before this shapshot from my phone was taken pure misery. It was Cold. Chicago windy style cold. But I knew it could be a LOT worse on a December day any other year, so I told him to hush and we’d be inside soon. I wasn’t wrong. We WERE inside soon. Maybe another 15 – 20 minutes outside, then we went through the revolving door and into the warmth of the two floor atrium. But it was what we couldn’t see that should have sent us quickly revolving right back out that door. After snaking through the atrium, in a line that was significantly longer than we’d just waited in to get inside, we finally reached the elevators. We were IN! SkyDeck, here we come… We were in Chicago on an amazing Christmas GIFTED vacation, and we were going to take the kids to the highest point around to see it all. The doors closed after they stuffed every inch of the elevator space with squishy bodies. I waited to feel the ear popping rise to the 103 floor. Instead, we went down. DOWN. I didn’t remember THIS from when I was here, a lifetime ago. It was when we exited the doors and were sent down the line to another room full of snake line that my heart sunk. Now all the kids were tired, and all three were less than thrilled with going UP now. I tried to be cheery. As we got through this room, we came to an airport style checkpoint. We were searched. Coats, purses, backpacks, shoes, and all our things put through a scanner, and the beeping alarms were annoyingly consistent as the masses before and behind us moved through. At this point, even I was ready to throw in the towel. 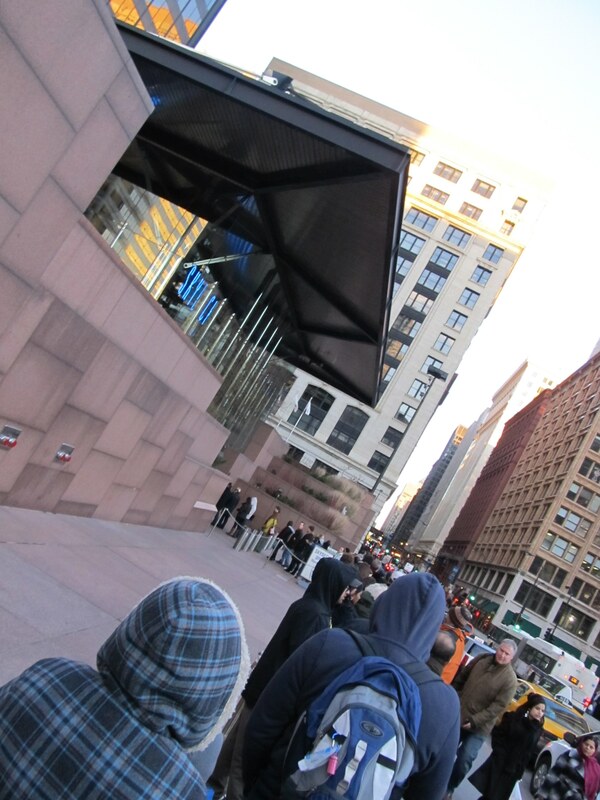 It wasn’t just the line… it was the people IN line. Many, even as old as my grandparents, decided that cutting in line was better than waiting a few minutes longer. The unfair-ness and the irritation grew with each cut and ungracious person my kids took in. They began to learn that there is a right and a wrong way to stand in a line. And they were not always quiet about it. Sibling rivalry began to play out in all it’s glory. Our 13 year old swore she’d pay every dime of her birthday/Christmas money she just got to her siblings if they’d just STOP picking on each other. After 4 snaking basement rooms, one forced movie, (the line went THROUGH) the movie theater, and back into a crammed elevator, we finally reached the top. 103 floors above the city. It was a shock to come to the top and find that it was no longer the clear and bright day outside. It was NIGHT! 4 hours had passed and the skyline was twinkling with brightly lit buildings and snaking car lights. It was breathtaking… but the view was tainted by the previous 4 hours of lines, irritation, physical exhaustion of no place to rest, and pushy people at every window. Within 5 minutes, the kids were ready to leave. They were worn out. But I refused. I’d waited in a 4 hour line, and they were gonna LOVE it up here or else! So we stayed. We found an empty window and we took it in, waited in line for the crazy glass ledges you can stand hovering over the street in mid air, and really got a sense of the city. I showed the kids Indiana, across the Lake. It began to grow on them. All in all – it was worth it. Then we saw the line to leave. It wrapped around the entire room and my heart sunk to my knees. The kids (and Derek) pushed to take the stairs. Yes really. But Derek and I knew they had NO idea what they were getting into. They’d never done 20 flights of stairs, let alone 103. It’d be something to remember and talk about forever, but I was in no condition to do it myself, and I knew they’d get to 50 and give out on me. What did the Willis (Sears) Tower teach my kids? Many things I am sure. Mostly, how to wait in line. There are many ways to do it, many BAD ways to get to the end of the line, though in the end… only one way it should be done… with graciousness. The icing on the cake, now that we’re home? No matter how long a line is, immediately all the kids say, “This is ‘nuthin after Chicago!” 🙂 As a mom, I am gonna love having gone to the Tower for a long time to come!